Today started off with a tortuous relaxing 30 minutes of yoga with my friend, Jillian. 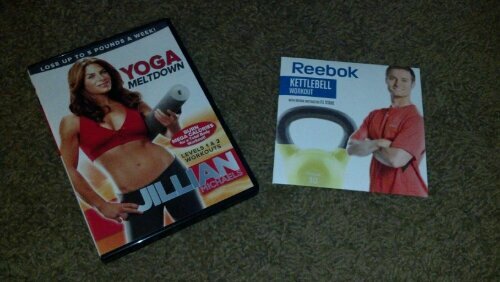 Next week I go back to the kettle bell, ta ta for now, Jillian! 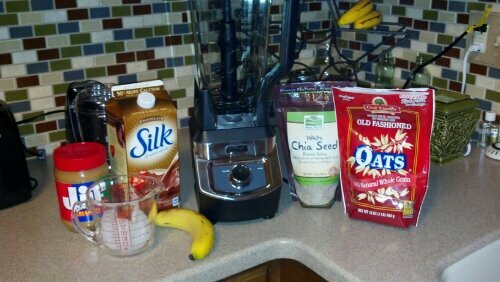 This was the first time I’ve added chia seed to anything, so I was pretty excited! Tasted great! I’m a smoothie junkie queen, so be sure to stay tuned for more mouthwatering recipes! What’s that? I hear the teenager up, showered, and getting ready for school before 7:30???? Is there a full moon?? I guess that’s my cue….almost time to head off to the place that pays the bills, at least I get to spend the day with my bestie!